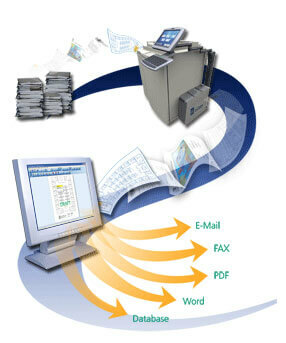 Augusta Data Storage understands the complexities of managing business information in today’s environment. For over two decades we have provided traditional record management services including off-site record storage, climate controlled vaulting and secure document destruction. As business needs have changed, we incorporated digital imaging services to focus on efficiently and cost effectively managing the huge amounts of paper documents that all businesses generate. Much of the information in today’s business environment exists as documents created each day by employees and other business contacts. These documents come in various shapes and formats, however, they contain valuable or perhaps even critical information that must be secured, shared and retained. Organizations are under more pressure than ever before to manage these documents effectively, not only for compliance and risk reduction purposes, but also to improve operational efficiency and productivity while reducing costs. Through the use of digital scanning and archiving technology, Augusta Data Storage can provide FAST, EASY, SECURE and PERMANENT access to your business documents. What Does Document Imaging Achieve? What Kind Of Documents Can Be Scanned and Converted? What Can You Do With Your Retrieved Images? How Are My Scanned Documents Stored? Our standard is to save your records onto CD-ROM. Currently, CD-ROM is the most popular storage media because it offers fast access from most workstations, it is inexpensive and has a long shelf life. DVD technology is also available if you prefer. How much information can fit onto a CD-ROM? One CD-ROM can hold approximately 15,000 pages, four boxes of records, or 550 MB of data. What is the standard image format? We scan all files to a Group IV TIFF format using 300 dpi unless otherwise requested. What document types can you manage? Our state-of-the-art software enables us to manage any form of electronic document information including scanned images, MS Office file formats, various E-mail formats, etc. and store them in a single repository for viewing or printing by an authorized user. How will I search and retrieve my documents? Each customer receives a fully licensed and supported copy of the Captaris Alchemy Search client included on the CD-ROM with their images. The Alchemy client enables read-only access for customers to search, retrieve, print, fax or e-mail selected images direct from the viewer. Alchemy’s interface is easy to learn and use. If you can drag, drop and use e-mail, then you can easily use Alchemy.